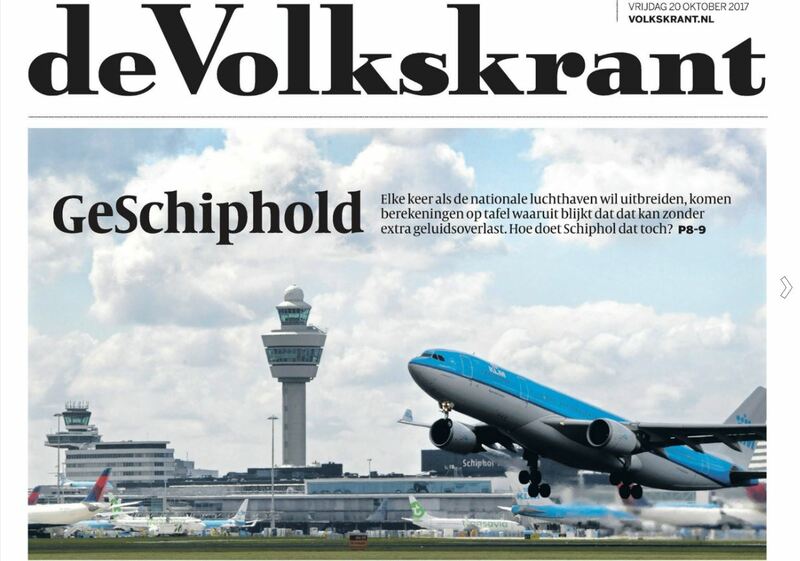 In Dutch media we see a large stream of negative articles concerning Schiphol Airport. Politicians are not amused. State Secretary Sharon Dijksma of Infrastructure and Environment is having the environmental impact assessment (MER) of Schiphol Airport re-examined; read the article on nltimes. ‘GeSchiphold’ means ‘being Schipholed’: a phrase invented by former (conservative!) minister Winsemius, meaning that Schiphol does everything to grow and ignores other interests: not willing to measure noise, but to calculate and manipulate the outcome to take advantage. Declare that aircraft are getting silent and clean soon, so there is room for growth. Even complaining will be prohibited for buyers of new built houses in the region. Not only the Schiphol MER is in discussion but also the MER concerning satellite Lelystad: the airport calculates noise in a wrong way. This could have enormous consequences for growth possibilities in this densely populated country.